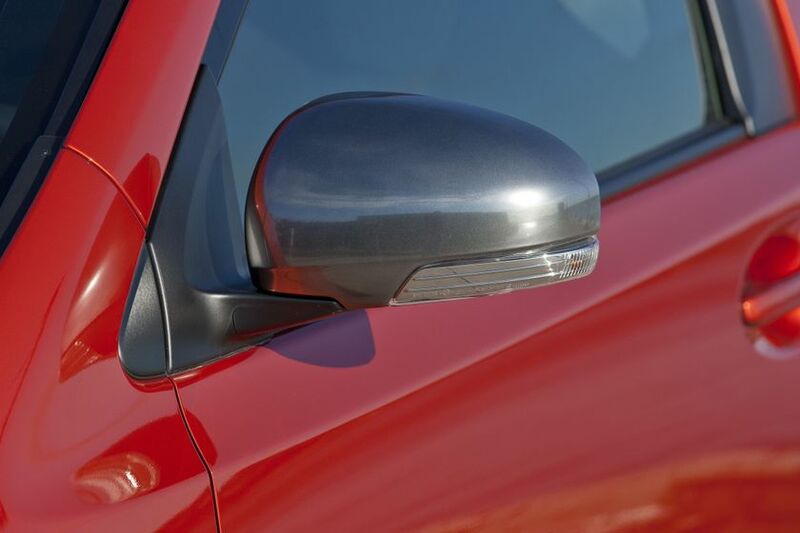 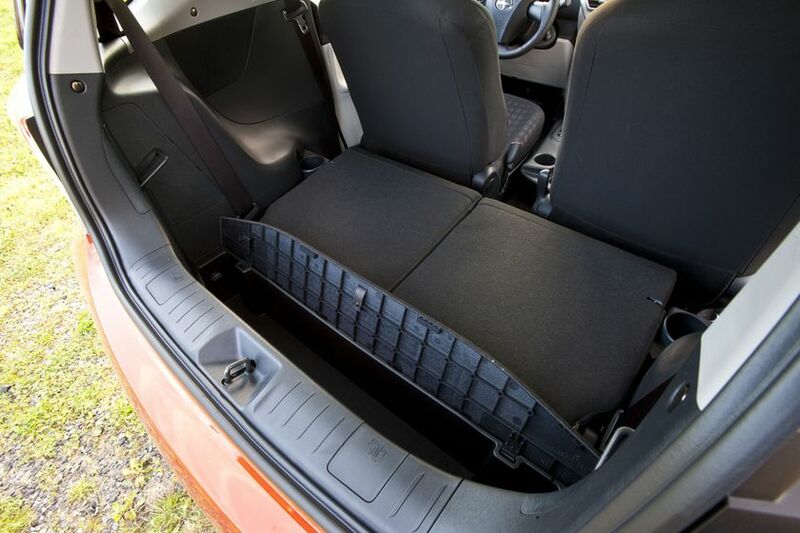 Big value for money from a generous suite of standard features means you’ll have coin for personalizing the world’s smallest, safest, most urban savvy four-passenger vehicle available in November. 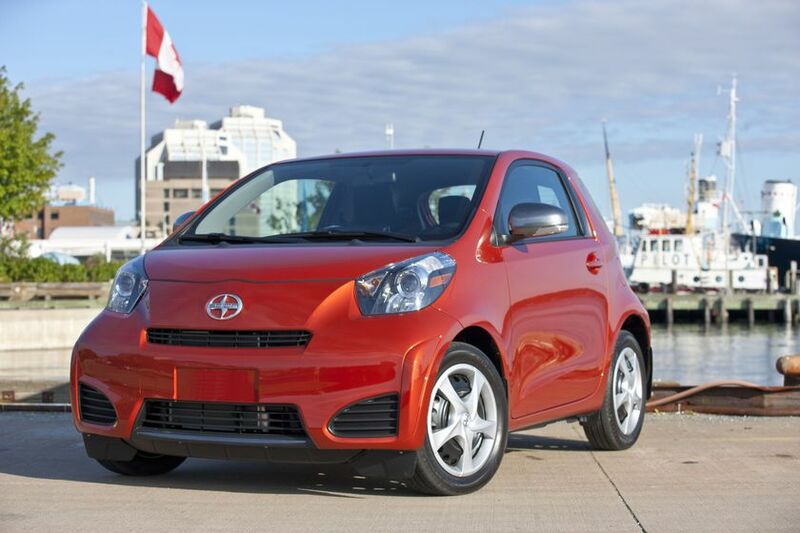 (TORONTO) – The Scion iQ – all new for 2012 – a premium micro subcompact that delivers big on agility, fuel efficiency, features, power, fun and safety. 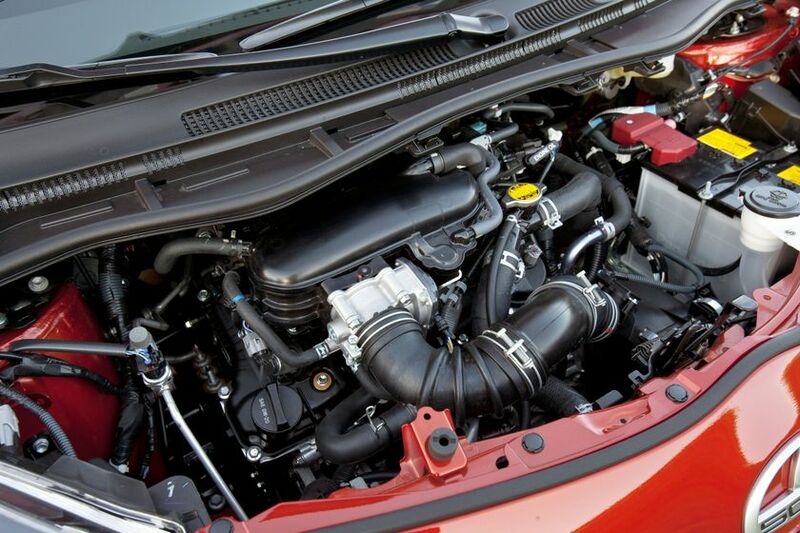 PERFORMANCE: The Scion iQ’s 1.3L 4-cylinder engine and continuously variable transmission delivers a class-leading 94 peak horsepower for confident acceleration, and a best-in-class fuel efficiency of just 5.1L/100KM (city highway combined), plus a Tier 2 Bin 5 Ultra Low Emissions Vehicle (ULEV II) rating. 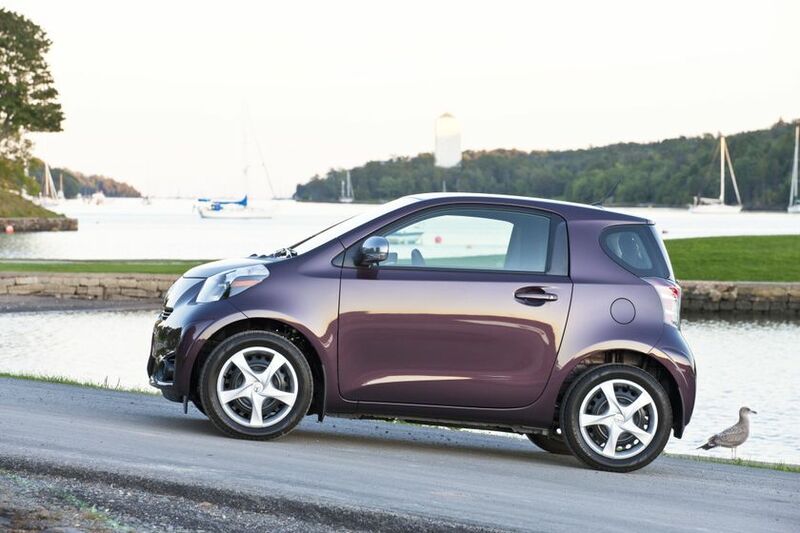 And for those narrow city streets and tight parking lots, the Scion driver enjoys a class-leading turning radius of just 3.9 meters. 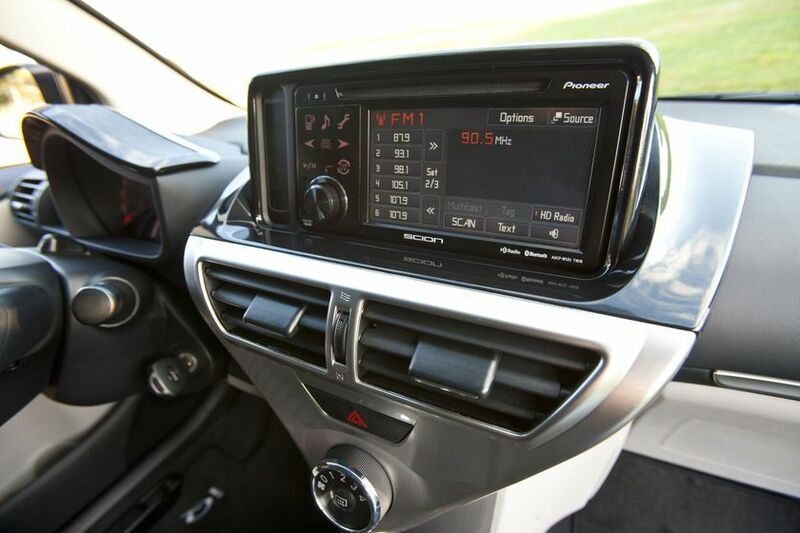 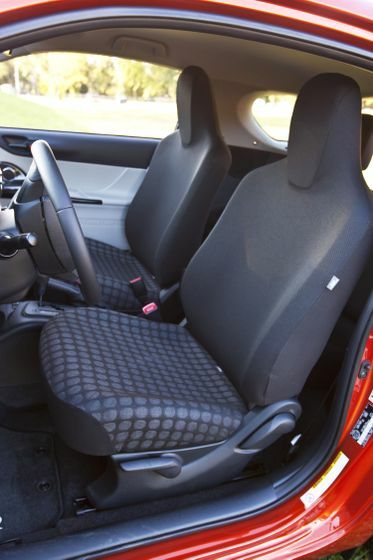 TECHNOLOGY and INNOVATION: Every Scion iQ features an innovative, compact air conditioning unit, electronic power steering system, front acoustic glass to reduce wind noise, an innovative “3+1” seating arrangement with extra slim front seatbacks for added rear legroom and comfort. 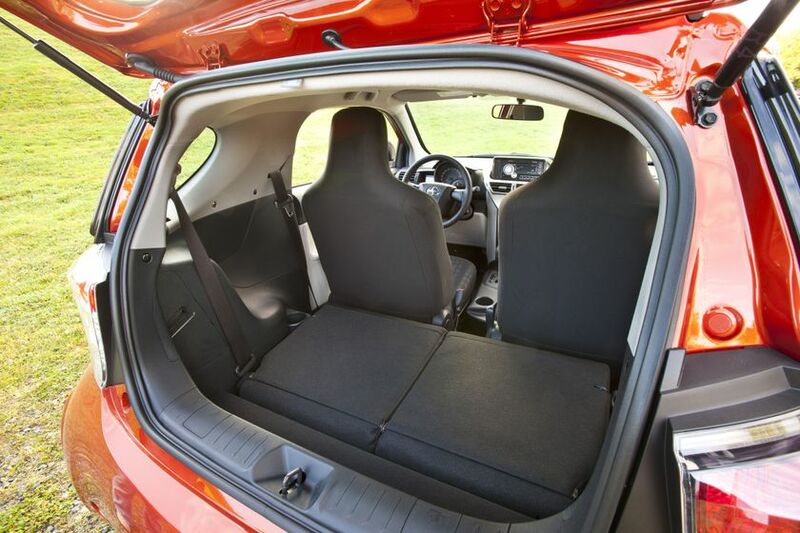 SAFETY: The Scion iQ stands above the rest, with a class-leading 11 airbags, including the world’s first rear-window curtain airbag, plus the Scion Star Safety System – a suite of six active safety technologies that help drivers avoid accident situations – window jam protection, LED brake lights, and more. 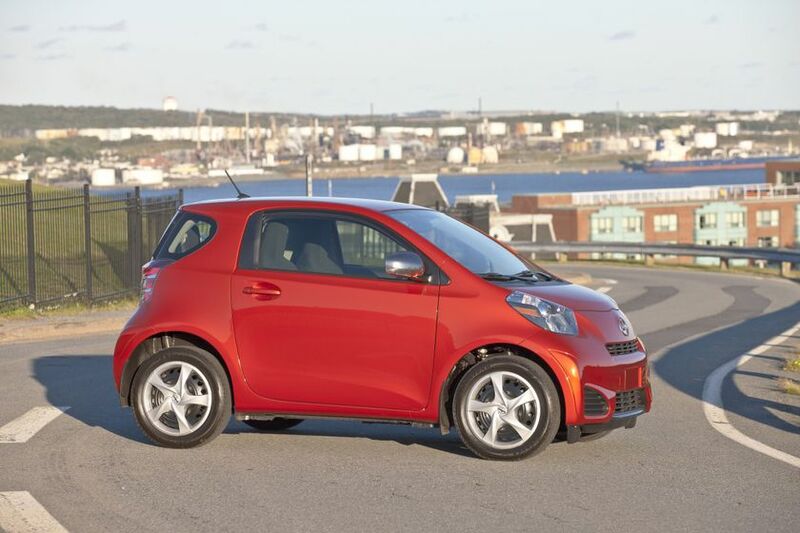 FEATURES: The Scion iQ is remarkably well equipped with premium features Canadians will love, including: power adjustable exterior mirrors with integrated turn signals; leather wrapped steering wheel, power door locks with keyless entry; power windows with auto up/down function; a comprehensive instrument cluster including ECO Indicator, Multi-Information Display and Trip Computer; a six-speaker audio system with standard USB and auxiliary audio input jacks, steering wheel-mounted audio controls, plus a choice of audio head units for audiophiles; and more. 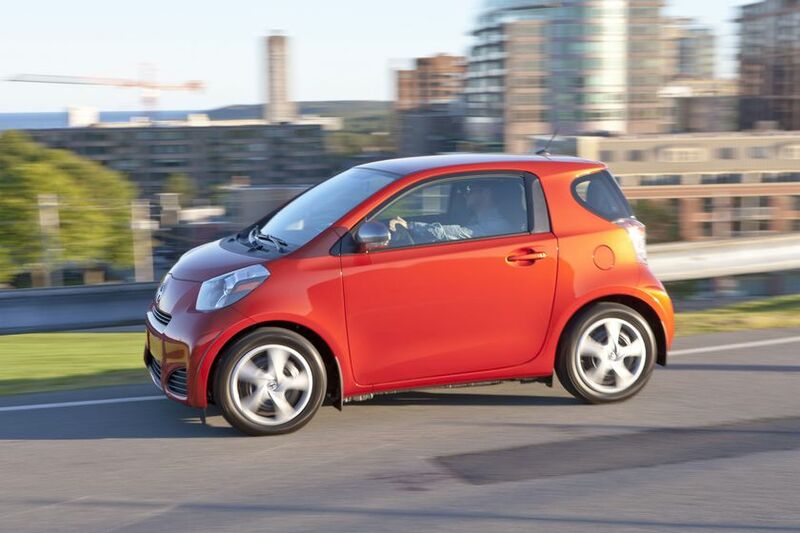 The 2012 Scion iQ goes on sale in November at 84 Scion dealers across Canada with a starting MSRP of just $16,760. 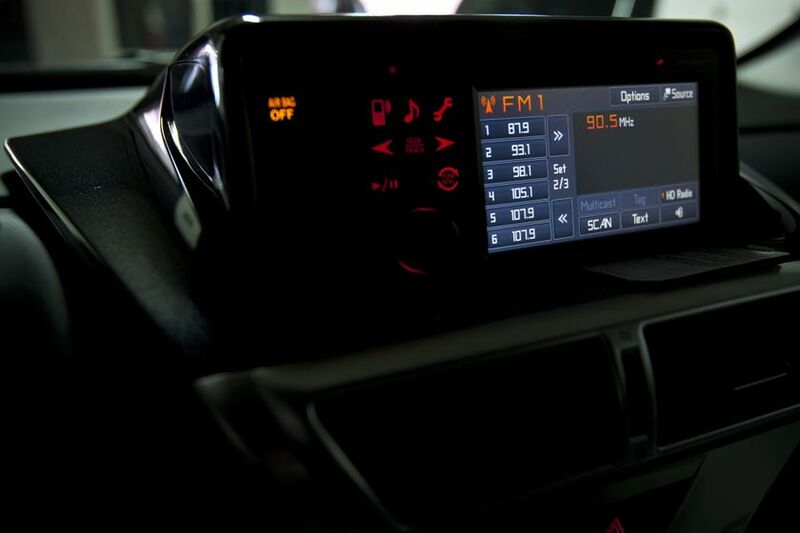 Launched in September 2010, Scion in Canada is the exclusive Canadian distributor of Scion tC, xB and xD vehicles through a sales and service network of 84 dealers across Canada. 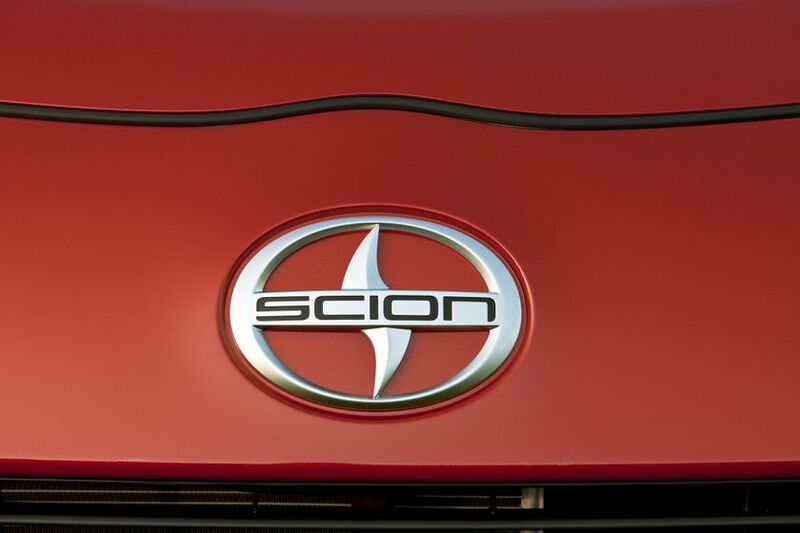 All Scions come fully loaded with Scion’s Star Safety System which includes active safety technologies, such as: Vehicle Stability Control, Traction Control, Anti-lock Brake Systems, Brake Assist, Smart Stop Technology and Electronic Brake-force Distribution. 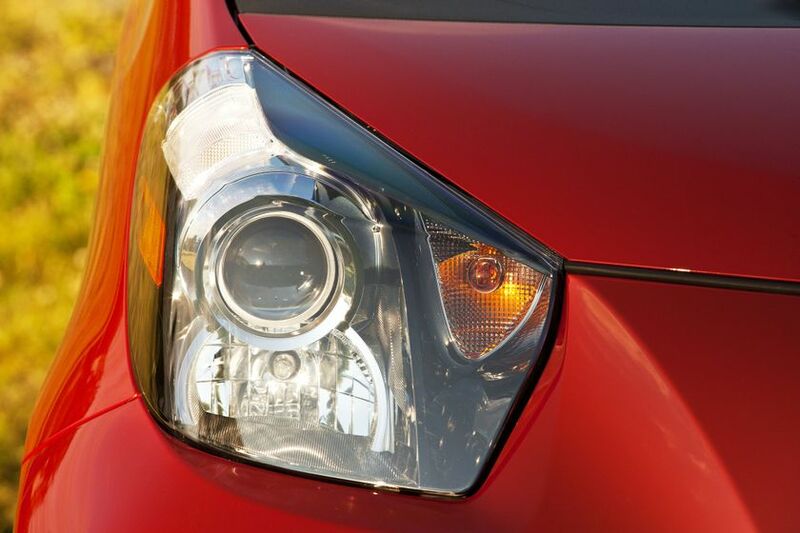 The Scion lifestyle is trendsetting, urban and authentic; Scion vehicles maximize personal expression while delivering performance and style.